02.09.2011 - Remediation Products, Inc.
Fast Remediation That Actually Works? It’s Not A Myth…It’s RPI. Are you a brownfield, residential, commercial, or industrial developer? 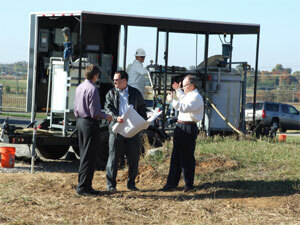 Who says you have to wait years for scientists to finish “studying” your contaminated site(s)? With Trap & Treat® in situ remediation products (BOS 100® or BOS 200®), quick and complete remediation for buyers and sellers is no longer just a myth. Turn to Trap & Treat® BOS 100® (for solvents such as PCE, TCE, etc.) and BOS 200® (for fuel hydrocarbons) for fast, safe, economical and GREEN remediation! Typical projects include strip malls, former gas stations and factory redevelopments, dry cleaner properties, decommissioned military properties, and natural gas facilities. We offer products that really work, free and confidential site consultations, a network of highly-skilled Trap & Treat® contractors, low- or no-cost sample analyses, and more…and if we don’t have the best option for your site, we’ll tell you who does. 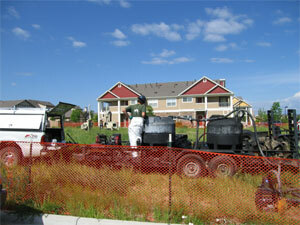 Start the remediation process today…most sites are ready to sell in a year or less! Contact me directly at bob@trapandtreat.com or call toll-free 877-239-9381 x12 for your confidential consultation.